What do football and farming have in common? Levi's Stadium. The Faithful Farm, as it's called, isn't a small garden patch either. It occupies 4,000 square feet of the eco-friendly stadium's 27,000-square-foot green roof, which features a variety of plants native to the Bay area. The roof also has solar panels used to generate renewable energy. Some of the 40 different crops on the farm include tomatoes, summer squash, eggplants, peppers and zucchini. 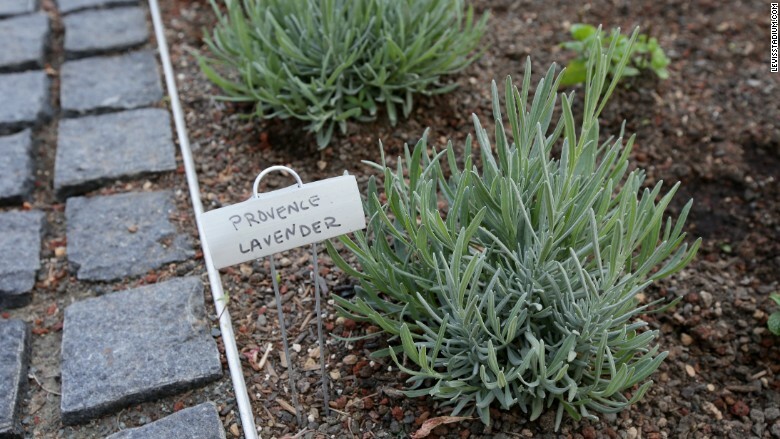 Plus, there's an herbs garden with basil, sage and lavender. 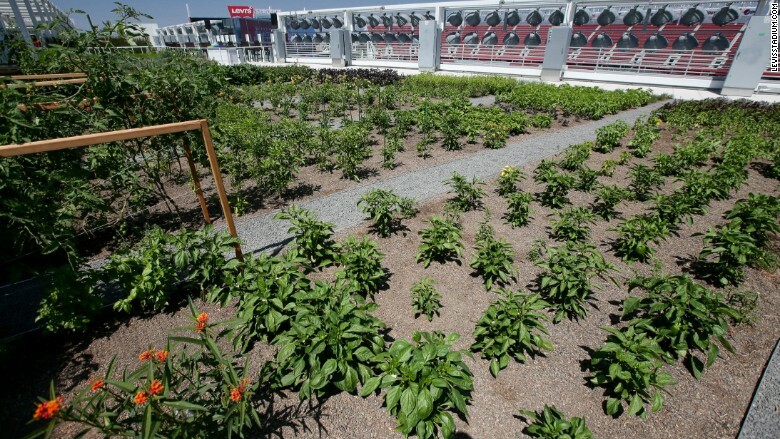 Levi's Stadium gets a new rooftop farm. Some of the produce will be given to organizations, such as the Salvation Army, that help people in need. "Our green roof helps reduce heating and cooling requirements within our suite tower and carving out this small portion to grow crops further minimizes our carbon footprint by reducing our reliance on outside food sources," Jim Mercurio, 49ers vice president of stadium operations and general manager, said in a statement. The setup for Faithful Farm is somewhat unique: the rooftop is above the 9th floor that was built specifically for the farm. While Faithful Farm is the first NFL vegetable garden, it's a part of a growing trend at stadiums. There's already a rooftop farm on the third base side of the Red Sox's Fenway ballpark in Boston. Urban farming in general is picking up in popularity among rooftops of public housing buildings and abandoned factories in cities like New York. Meanwhile, air carrier JetBlue opened a blue potato farm and a garden at New York City's John F. Kennedy airport at an outdoor space by its terminal. 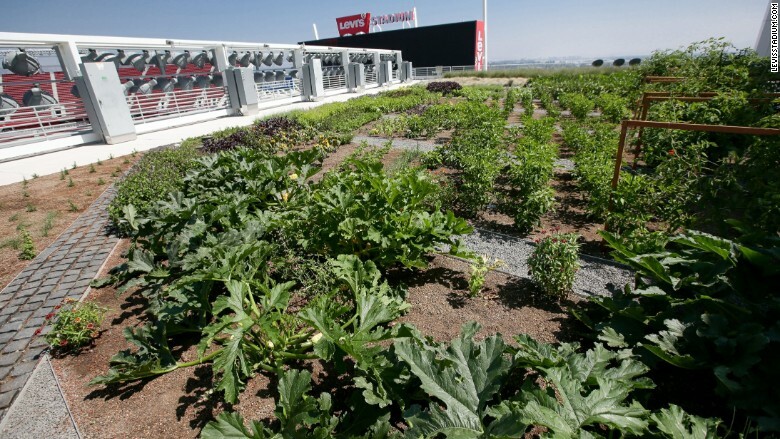 Levi's Stadium has partnered with San Francisco-based Farmscape, one of the biggest urban farming firm in the country, to maintain its food farm. "We also maintain an urban farm just underneath the scoreboard at the [San Francisco] Giants' AT&T Park," said Lara Hermanson, co-founder of Farmscape Gardens. Since she started the firm in 2008, Hermanson said interest in urban farming has gained traction. "For the first few years, people thought of it as a fringe thing to do and not the first landscaping option they'd choose," said Hermanson, adding that attitudes have since changed. "Communities and corporations have recognized how much urban farms are beloved by the public, and they don't require a lot of investment to maintain." While a stadium rooftop might sound like an unusual spot to grow produce, the process is similar to farming row crops in a field. "The best ingredient for farming in California, whether its on the ground or on the rooftop, is 12 months of sunshine," she said.